We are a Catholic, Eucharistic community, in the Diocese of Trenton, NJ, called to spread the Good News of Jesus Christ and God's love for all. As an extended family we support one another in living the Gospel message. Please feel free to visit the pages of our Parish Site, learn about who we are as a community of faith and the services our parish provides. 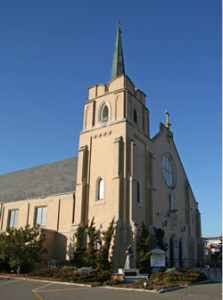 We cordially invite you to make St. Pio Parish your parish home. Sunday - 8:00 A.M., 10:30 A.M.
Confession every Saturday 4:00 P.M.